Born at Aberdeenshire, Scotland on 17 August 1847, son of Charles Farquharson and Margaret Fletcher, the family emigrated to Canada in 1866 and settled in Kent County, Ontario where he worked on a bush farm, taught school, and took high school before attending the University of Toronto from 1874 to 1878, afterwards graduating from Knox College in 1881. His first pastoral charge was at Knox Presbyterian Church in Pilot Mound where he arrived as a missionary in April 1880, later ordained in January 1882. 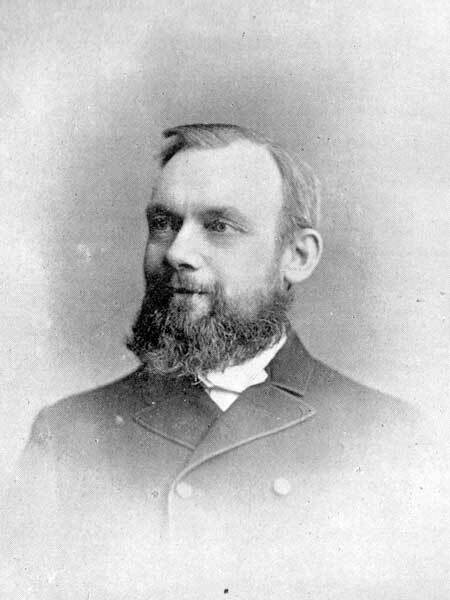 He returned to Ontario briefly to marry Janet Coutts, of Kent County, Ontario on 18 November 1881. They lived at Pilot Mound for much of their lives, moving to Winnipeg in 1905 when Farquharson opened a church office for administrative work. In retirement, he moved back to Pilot Mound where he died on 15 April 1925. A memoir entitled Recollections of a Pioneer Minister and His Work, by His Wife was published posthumously. The Canadian Album: Men of Canada or Success by Example, Vol. III, Bradley, Garretson & Company, Brantford, Ontario, 1894.